Frank Field has said he will not be triggering a by-election in his Birkenhead constituency after resigning the Labour whip. The ex-minister said nearly all of the constituents he had spoken to believed he should "simply get on with the job". The MP said he was set for a protracted legal dispute with the party, who have given him until 13 September to retract his resignation or face expulsion. He said he would fight any attempt to force him out of the party. 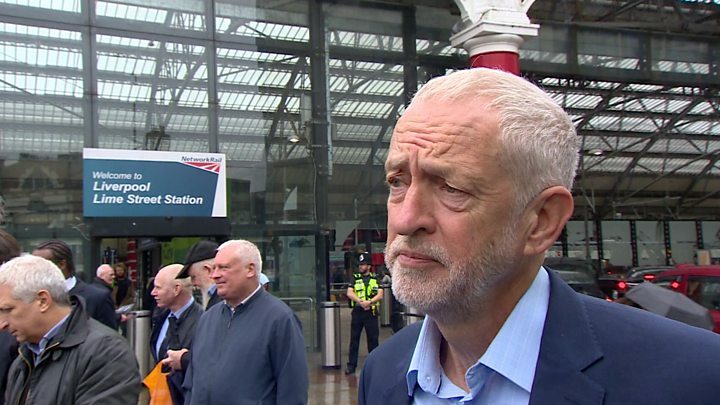 Jeremy Corbyn said he was sorry to see Mr Field, who is now sitting as an independent in Westminster, go but did not understand why he had to resign. Defending his decision not to call a by-election, Mr Field said he had the backing of the constituents he had spoken to and had secured the biggest majority of his career last year, when he won by 25,514 votes. "Practically all of the local residents who have contacted me in recent days have stressed that I should simply get on with the job of representing Birkenhead," he said. "The whole of my time will continue, as in the past, with trying to serve Birkenhead to the best of my ability and spearheading a whole series of major projects in the town." Mr Field quit the Labour group in Parliament last week, warning of a culture of bullying and intimidation within the party and criticising what he said was the leadership's failure to deal with the anti-Semitism row. The MP is a strong supporter of Brexit and lost a vote of no confidence in his local Labour party last month after siding with the government and voting against calls for a customs union after the UK leaves. Mr Field said he would not back down and still hoped to retain his Labour Party membership. "I now have what may become a major legal dispute with the Labour Party over my continuing membership of the party," he said. "I shall fight any attempt at expelling me in every way I can and, if need be, in the courts."